Located in the centre of the Ruhrgebiet, once Europe’s industrial heartland, the city of Duisburg now lives in the shadows of those days. Even unemployment rates of 15%, twice the national German average, do not fully portray the level of poverty that exists in the former industrial heavy weight. Duisburg is now one of Germany’s poorest cities that has witnessed a steady decline in its population, of around 50,000 people, since the mid 1990s. However, a walk through the city centre, ignoring some curious pieces of modern city art along the way, one could be forgiven for believing otherwise. A state of the art public library, underground tram system and the impressive combination of the old industrial sector with the new in the Innhafen district, one of the world’s largest inland harbours, somewhat belies those statistics. Furthermore, it is possible that the trend of population decline is in reverse. 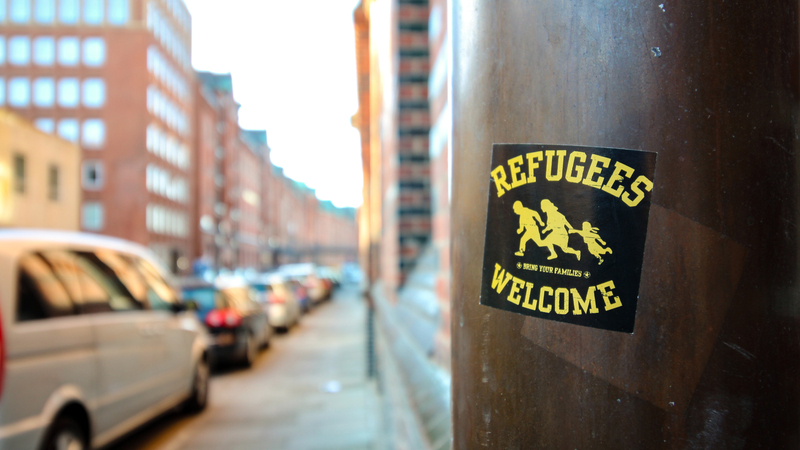 This is by and large due to the number of refugees that Duisburg has offered a home and some refuge to. According to local volunteers who work closely with refugees, Duisburg has around 25 refugee camps which each house around 300 people. They come from many different countries including Syria and, despite the corporate media’s panic and apparent fury after the body of Aylan Kurdi was washed up on a Turkish beach in September 2015, refugees had been arriving in Europe for many years before that tragic and shameful loss of life. Not only were they arriving because of the war in Syria that began in 2011, but because tragic loss of life and war are features of human civilization on a permanent basis. Given this permanency, you would imagine that a certain amount of planning would already be in place. Not so. Not even in Germany. In fact it is the absence of planning that has lead to the Duisburg region, one of the poorest in Germany, hosting more refugees than any other part of the country. Lack of planning also means a confused refugee and asylum procedure that neither local volunteer nor refugee appear to understand. The refugee process appears to differ from one German city to the next and from one applicant to the next as, according to volunteers and those seeking refuge, the duration of application varies from one place to the next and from one applicant to the next and nobody is ever clear what stage they are at or what the next one will be. At the very least this is unGerman. At no stage is it clear what the next step will be, how long it will take nor what is required to move matters along. What is clear is that everybody is confused and frustrated with incessant waiting and lack of communication. This kind of process can only add to the trauma that refugees have already experienced. Ulrika & Dirk – local Duisburgers. 4 Syrian refugees from Damascus. Fearing for the safety of his family and the retribution that the Syrian Army may exact upon them, ‘Ahmed’ is just a name he has given for the purposes of this story. Officially the Syrian army knows nothing of his whereabouts, otherwise his family would be in great danger, so sustaining this lie costs Ahmed’s father in monthly bribes. Something he needed to be mindful of as he left Syria. Ahmed explained how he arrived in Duisburg after travelling through Lebanon, flying to Turkey and, after five days in Turkey, heading for Germany via the Greece and Eastern Europe. A journey that would take 25 days across land sea and air. He reached the Greek islands after a 2-hour boat journey from Turkey and paying a smuggler $1,600. Ahmed claims that smuggling is far from clandestine and is arranged in an office in full view and with the full knowledge of Turkish authorities. Ahmed told me that part of the $1,600 went to the office where he arranged the boat to Greece but the lion’s share went to the smuggler. Once he arrived on the Greek islands he texted a code, as instructed, to the office in Turkey to prove he had arrived in Greece. That large share of the payment is then made to the smuggler. In Greece he stayed on an island he called Aliki (not sure of exact name) before heading to Athens followed by Macedonia, Hungary by train, Croatia, Serbia and Austria before finally arriving in Germany. Over these 25 days he travelled by plane, boat, bus, train and by foot from his city in western Syria to Duisburg. At no stage during that voyage did he ever feel safe or certain that he would reach a safe destination. But 25 days later he did just that. 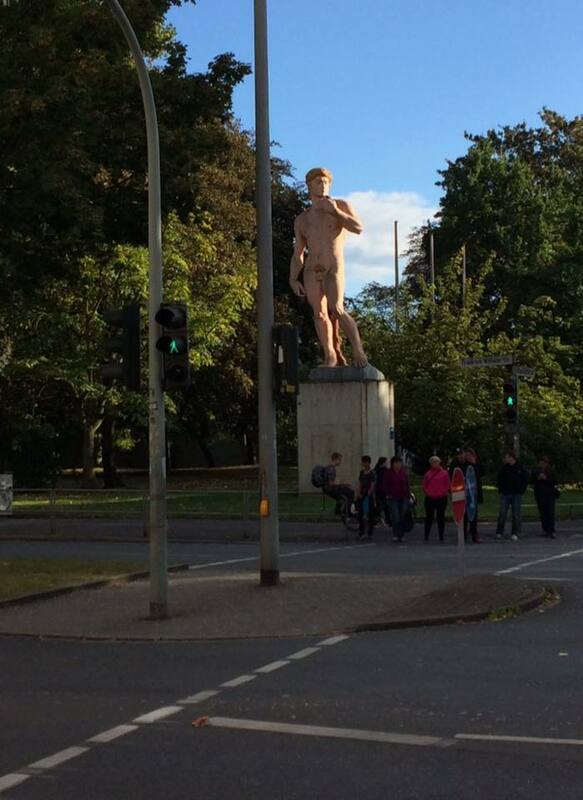 His introduction to Germany, however, was not the most comfortable and welcoming. Not the affluent Europe he had been lead to believe. Ahmed, along with so many others, spent his first few weeks and months in a cold, noisy and tense basketball hall of a disused German secondary school. Sharing an open sleeping space in bunk beds with close to 100 people of different cultures and social backgrounds is not an easy task. Limits are tested, boundaries pushed and violence sometimes follows. Some of these facilities have no partitions between the beds and refugees use logs and branches from the nearby forest as a means of separation and a place to dry wet clothes. It’s basic to say the least. After acclimatising himself to such living conditions, Ahmed found that escaping a war zone, paying sums of money to smugglers and risking his life in treacherous conditions to get to Germany would not be the end of his troubles. Now he had to face another obstacle, something that is at best nebulous and incomprehensible at worst – the German Asylum system. Ahmed currently lives in the Neudorf camp, on the outskirts of Duisburg, where his accommodation has recently improved. He now shares a partitioned room with three other people. This is a step up from the basketball hall. However, the biggest problem is that he still does not have refugee status and without this he cannot work to earn money or properly fend for himself. He lives off the scraps he gets from the German Social Welfare office. Der BAMF (Bundesamt für Migration und Flüchtlinge) – The Federal Office for Migration and Refugees – are responsible for assigning this status. 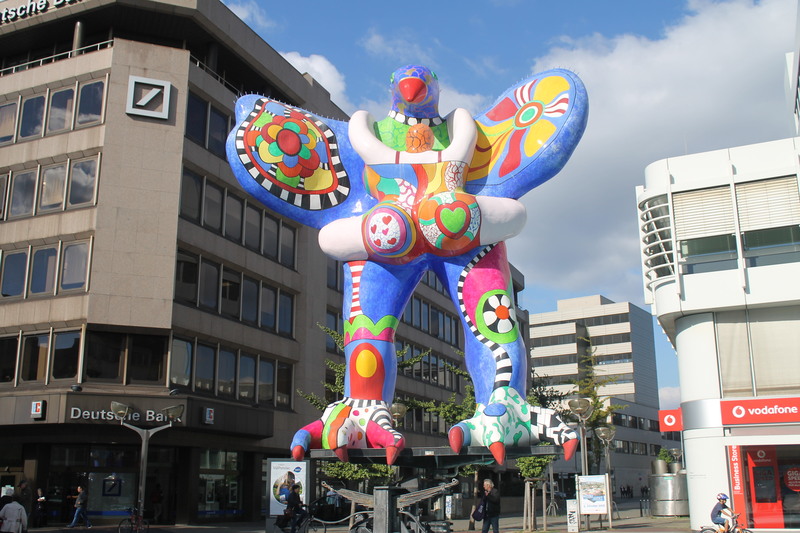 Since arriving in Duisburg in November 2015 he has completed two interviews with The BAMF. He didn’t have his first interview until early August 2016. However, he still does not have any word or confirmation on his status. This is frustrating for Ahmed to say the least. Having escaped war and what he sees as persecution in Syria, travelled through treacherous conditions over, land, sea and air to get to safety, he is still faced with obstacles. This time it is an administrative and communicative obstacle. Not knowing and not having any status or right to work and not being able to get any clear information from those in charge. 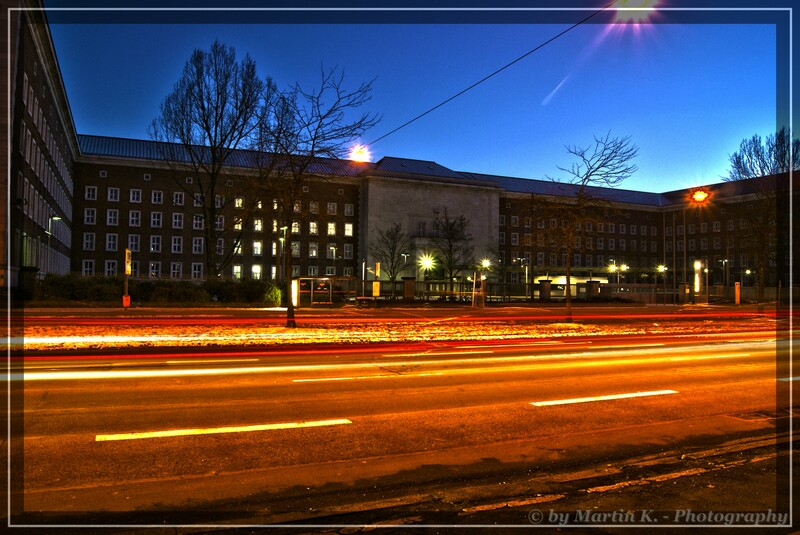 Furthermore his right to travel within Germany is restricted, as he is not even allowed to leave Duisburg. Ahmed, along with many others I spoke with, feels the system is poorly organised and that different cities operate at different speeds. He believes he would have got a quicker response in the city of Essen. But for now at least he must wait for refugee status. If or when that arrives he may only get it for one year. The anxiety and uncertainty shows no signs of abating. In the meantime refugees, and those seeking refugee status, rely on support from volunteer groups and NGOs. Some of these groups are working to integrate local people with newly arrived refugees. One group, Flüchtling Helfen (Refugee Help), organises free breakfasts on the first Saturday of each month where locals and refugees meet. Ahmed attends these breakfasts in Neuberg and finds them useful. They also organise different sports and social activities where people can meet and establish connections. Mehr Flüchtlingshilfe e.V. is an important organisation I will discuss in a later blog. Another is an NGO called the A.W.O. which delivers integration courses that help refugees, and those seeking refugee status, to integrate into German society. Ahmed’s thoughts about Syria are not hopeful, for the time being at least, although he wishes to return to rebuild his country. Were he to return now he would be forced to serve in the Syrian army or face prison. It could mean fighting his fellow countrymen and women, something he is keen to avoid. Furthermore his family name is associated to the Free Syrian Army (FSA), which would cause him obvious problems, with the regular Syrian army, as he went about his daily business passing through checkpoints. At least Ahmed is away from that, for now, and he has some security. Let’s hope the German asylum process can deliver for him and for others and offer them something more concrete as the war in Syria appears to have no end. The missing documentation delayed their escape and caused consternation. They feared being forced to return to their war torn city and the inevitable fate that would await them there. However, young Abdel Aziz stepped up and returning to Syria was not to be. His communication skills helped explain that his mother had Lebanese residency and they were allowed cross the border. They made their way to Tripoli in the north of Lebanon. His education is suffering and both his parents and teachers are worried but they must do what they can to survive until they can find a better alternative. At present there is no better alternative as returning home is not safe and moving to another country is not possible. As the Syrian war becomes more entrenched, it is deepening divisions that will take generations to heal. Syrians are taking desperate measures to get away to safety and, despite the protracted nature of the war, they dream of returning home. That dream of return may be naive, however, as the war shows no signs of abating. Meanwhile neighbouring Lebanon is giving shelter to the greatest number of refugees per capita. While this has created some problems, the generosity of the Lebanese has helped maintain a relative calm. The generosity of a little known NGO, Relief and Reconciliation (RR), based in northern Akkar in the village of Bkarzla, has also helped. This is despite being in the poorest region in Lebanon. RR may be the solution that Syrian refugees are looking for. Funded by private donations, as they get no support from the Lebanese government, RR started a peace building initiative through “working for a free and inclusive Syria, based on democracy and human rights”. 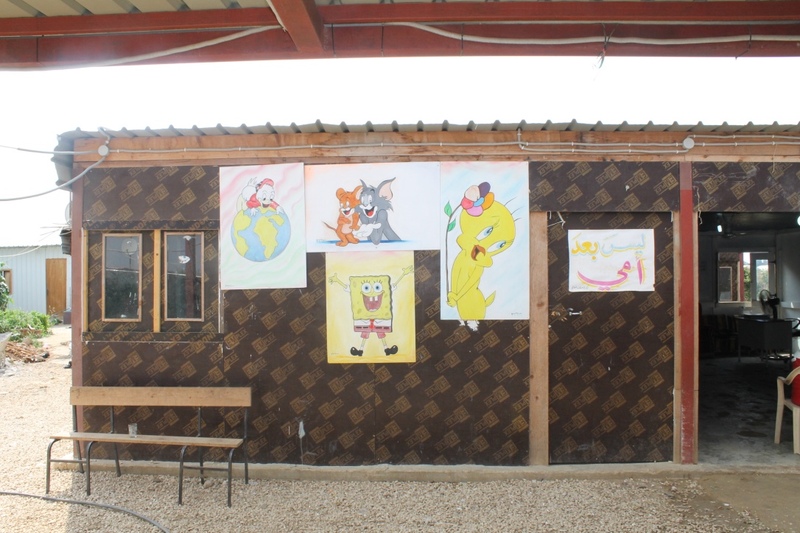 They opened an office, an education centre and a camp for Syrian refugees in Bkarzla. Located just seven miles from the Syrian border, peace building may seem ambitious if not foolhardy. Ambitious and foolhardy until you meet RR’s chairman, a charismatic German named Friedrich Bockern. Peace building is not straightforward “it takes generations and involves cooperation and trust,” claims Bockern. The RR project operates on a consensus basis so “if there is no consensus we do not work” states Bockern. They are directed by local representatives, through a steering committee, with representatives from the Sunni, Christian and Alawite communities on board. The committee’s aim is to get their children into Lebanese schools. Getting the students into Lebanese schools can prove difficult, as most Syrians do not speak French and French is the lingua franca. Students receive homework help to compensate for this. Although as Ali (not his real name) a RR volunteer from Aleppo explains, that even securing a place in a Lebanese school is no guarantee they will go, as they still need money for transport. However, in their first school year, 20013/2014, they finished with 80 children, aged 3–18, and they had three classrooms. One year later, as a result of fundraising, they expanded to 14 classrooms and finished the second school year with 440 students. Another donor was an Irish NGO called Schools for Syria, which is headed by Clontarf native, Fr. William Stuart. A project leader named Joyce, tells me that all of the families in the camp come from Qusayr in Syria. Qusayr experienced heavy fighting and eventually fell to the Syrian army and Hezbollah. Most of the inhabitants that survived fled. She claims that 40% of the entire Qusayr community now lives in this camp in Akkar. 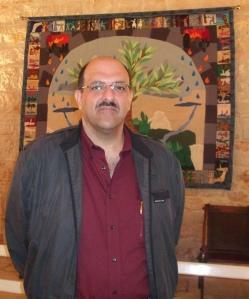 One of the community leaders Ahmed (not his real name) comes from Qusayr. At the start of the Syrian War he was smuggling medicine underground as hospitals were being used by the Government to arrest and interrogate wounded protesters. There was a saying in Syria at that time “leg shot into the hospital, head shot out of the hospital”. Protesters needed an alternative medical supply and Ahmed provided it. When the police discovered this he fled. Bockern, and many others working in RR, have worked in the NGO sector for several years. He is highly critical of that sector. He claims that the efforts of certain NGOs go nowhere and that they merely meet in a fancy hotel, discuss some initiatives and “nothing changes”. NGOs, claims Bockern, often approach refugees with a “white night” attitude and “tell them what to do”. He rejects this attitude as “we are benefitting as much as they are”. Bockern feels that “a concept of humility is needed” instead. Driving SUVs into camps, he claims, to tell refugees what they need is “a condescending approach where a power gap already exists”. Some NGO staff earn as much as $20,000 per month, without taxes so “how can you justify that?” he exclaims. In addition they get extra holidays because of the “hardship of humanitarian aid”. “There is so much need for reform in the humanitarian aid sector it’s hilarious,” exclaims Bockern, as he laughs sarcastically. 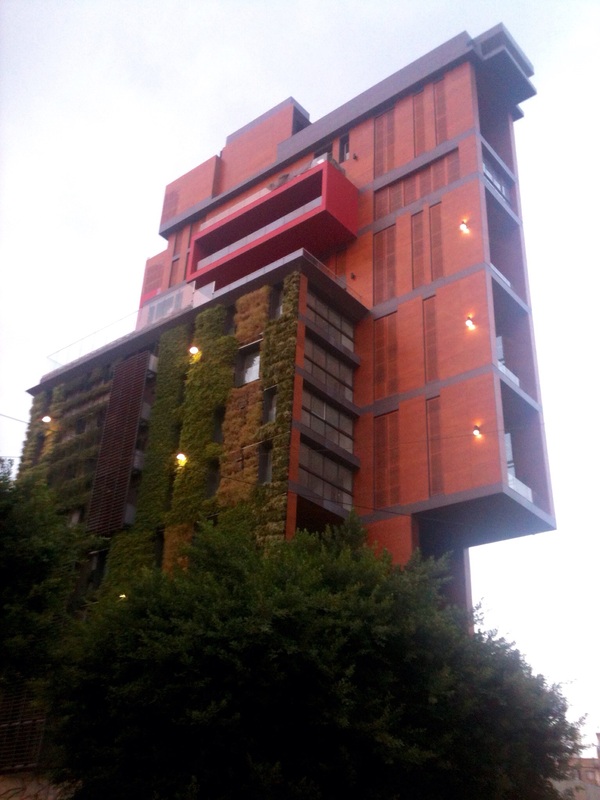 Bkarzla is neglected by the Lebanese state. Due to sectarian fighting and Journalist abductions it is regarded as dangerous. In fact the Irish Department of Foreign Affairs advise that Irish citizens “avoid all non-essential travel to Lebanon”. However, none of this prevents him or the other staff and volunteers from doing the work and attempting to build peace in Bkarzla. Added to this image of danger is the misery of refugee living conditions. However, it is strangely optimistic at the same time. Their houses are made of makeshift materials, a family of eight lives in one room and their rent is constantly increasing. In wintertime the area floods with water and sewage and temperatures fall far below freezing. However, their living quarters are designed and built in much the same style as their homes in Syria, everything from the plants and vegetables outside, to the layout of seating and sleeping areas. Families send their young children to school and the older ones are making wedding plans. They are getting on with their lives while still holding Syria close to their hearts. Some have even declared they will be back there within twelve months. Returning home so soon may be ambitious or even foolhardy, as it looks impossible at present. However, with a charismatic individual like Friedrich Bockern and his dedicated team at the helm, that dream may not be all that ambitious. Israel’s objective in Syria is almost complete. This is according to seasoned Lebanese politician, Dory Chamoun. All that remains, he believes, is to find a new head of the Syrian state that continues “a closed eye towards the Golan Heights”. In an interview at his offices in the Sodeco region of Beirut in September this year, the President of the National Liberal Party said “Israel has got what they want”. He claims that Israel’s “dream has always been to divide the country into many confessional states” and that part has already been achieved as Syria has effectively been split into Alawite, Kurdish, Christian, Druze and Sunni states. The on-going conflict has deeply affected Lebanon. In addition to the thousands of Syrian refugees that have entered Lebanon, there have been clashes in the north and east of the country and car bombs have gone off in Beirut. Lives have been lost. Syrian markets are all but closed for Lebanese businesses. So too has access to the neighbouring gulf markets. Lebanese exporters must now export by sea, which involves greater expense and makes Lebanese products less competitive. Chamoun claims that several Lebanese businesses have gone to the wall as a result of the Syrian conflict while others suffer from cash flow problems. His own business is no exception. He believes the Syrian conflict is exaggerating the split between Shia and Sunni in Lebanon as well as in the entire region. Alliances are being formed across borders and Iran is involved. He claims “the Persians have always been big dreamers” and that they wish to recreate the Persian Empire using the “Shia Crescent” as their model. The crescent spans from Lebanon through Syria, Iraq and Iran and it finishes in southern Saudi Arabia. This scenario could drag Lebanon back into another bitter war. He claims the Christian population are being pushed by both Shia and Sunni to get involved in their conflict and “that’s the last thing we want to do is to have any conflict of any sort”. Chamoun believes the number of refugees in Lebanon is far above the quoted 1.1 million UNHCR (the UN refugee agency) figure. He says there are many unregistered refugees in addition to a Syrian population, in Lebanon before the war began, that cannot now return home. The UNHCR has temporarily ceased registration of new refugees to Lebanon, since 6 May this year, as instructed by the Lebanese Government. At that point they had registered 1.1 million people. Those waiting to be registered are not included. Chamoun says that while the Syrians have brought some minor problems with them, the Lebanese do not mind hosting them provided they do not cause any great troubles. The hope being that one day they can return to Syria. The Lebanese must also deal with their domestic problems and the people are protesting. ‘You Stink’ is protesting the Government’s inability to deal with the refuse problem. Rubbish is strewn at the sides of streets in Beirut, since the middle of July this year, following the closure of the main landfill site. However, the protests are not solely about the rubbish problem. These are anti-Government protests also. Government corruption, parliament deciding to extend its mandate until 2017, the presidential crisis and uncertainty among the people has fuelled anti-Government sentiment in Lebanon. Chamoun believes the people who started these protests are well meaning but it is difficult to protect such movements from ill-meaning people. According to anti corruption organisation Transparency International, “Corruption in Lebanon is widespread and permeates all levels of society”. Lebanon has not had a President since May 2014 and Parliamentary elections, that should have taken place in 2013, will not take place until 2017 at the earliest. A move that has been criticised by the EU as unconstitutional. 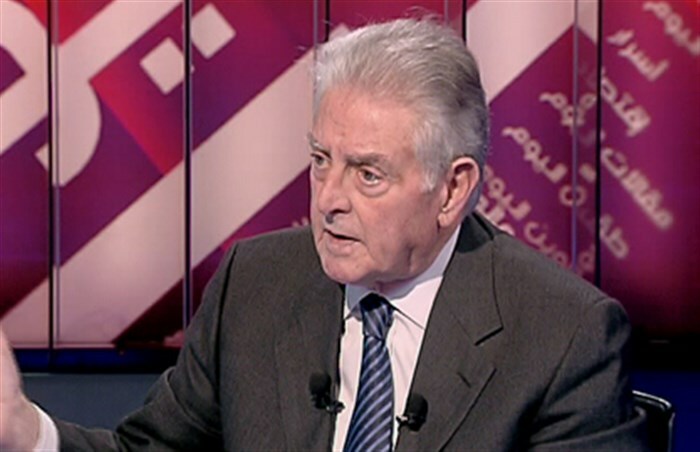 However, Mr. Chamoun believes the parliament had little choice but to extend its remit. The parliament cannot agree on the new electoral system that would see Lebanon divided into new electoral districts. This means elections cannot be held. The different proposals before the parliament would challenge the power bases held by the different religious groups and would change the electoral system that has been in place since 1960. Those who wanted the change “did nothing about it” claims Chamoun. This current disagreement, as with so many disagreements in the Lebanese parliament, is influenced by the March 8 (Pro-Syria) and March 14 (Anti-Syria) divide. The alternative, he says, was to leave the country without a parliament “just because some idiot couldn’t make up his mind about the electoral law”. The Lebanese parliament has also failed to elect a President. The Lebanese President must be a Maronite Christian. The presidential crisis could be resolved if either of the two front-running candidates, Samir Geagea and Michel Aoun, were electable. However, it is believed that a neutral candidate is now needed and it will have to be someone, according to Chamoun, who has “a certain CV that is void of monkey tricks”. Chamoun believes Hezbollah is happy with the current situation and they are “playing a double game”. He believes they want to change the constitution and how the president is elected so they could govern Lebanon. He claims this would suit Iran’s interests, who back Hezbollah, and further their idea of the crescent empire. Despite the enormity of these problems, the Lebanese still live a normal life. They go to work, the theatre, shopping, organise charity fun runs and so on. Chamoun believes “the Lebanese have gotten used to living with trouble” as they did during their civil war. While Chamoun warned of “ill-meaning people” taking hold of the protests, there is no evidence of anti-refugee sentiment among them or any “ill-meaning people” for that matter. This is quite incredible given the numbers involved. Despite this silver lining, the Lebanese and their elected leaders may have to get used to this kind of normal for some time to come. Zeina and her husband Ghazwan are from Homs. They are both 27 years old and Zeina, who is 7½ months pregnant, is expecting their first child – a girl. They describe themselves as “two simple Syrian people, middle class yet not wealthy”. Both university graduates, Zeina had finished her MA in Dentistry and Ghazwan had completed Pharmacy. Despite the enormity of their situation, they are positive, joyful and upbeat. Before the war they lead a normal life, had the same dreams and aspirations as any other 27-year old couple and they had friends from different religious backgrounds. In some cases they did not even know the religion of their friends until they visited them in their homes. When war came, Ghazwan was a student and therefore exempt from military service. However, the longer the war progressed the more they knew he would either have to fight or flee. Military service is not optional in Syria but Ghazwan is a Pharmacist, not a soldier. When his studies were complete, Ghazwan lived a restricted life in Homs, to avoid military detection. Ghazwan and Zeina describe themselves as “people of peace”, so joining the army was never an option. Ghazwan managed to negotiate a postponement of his military service to allow him a window of escape. This negotiation was secured at great risk, as pharmacists are much in demand in the army. While waiting for this postponement, Ghazwan was effectively confined to his hometown, as he could no longer travel as a student. Detection at military checkpoints would result in immediate conscription. Eventually he left, with just $200 in his pocket. “He is the important one,” says Zeina. Important, as escape meant not having to fight and avoiding death or injury. Zeina would soon follow. 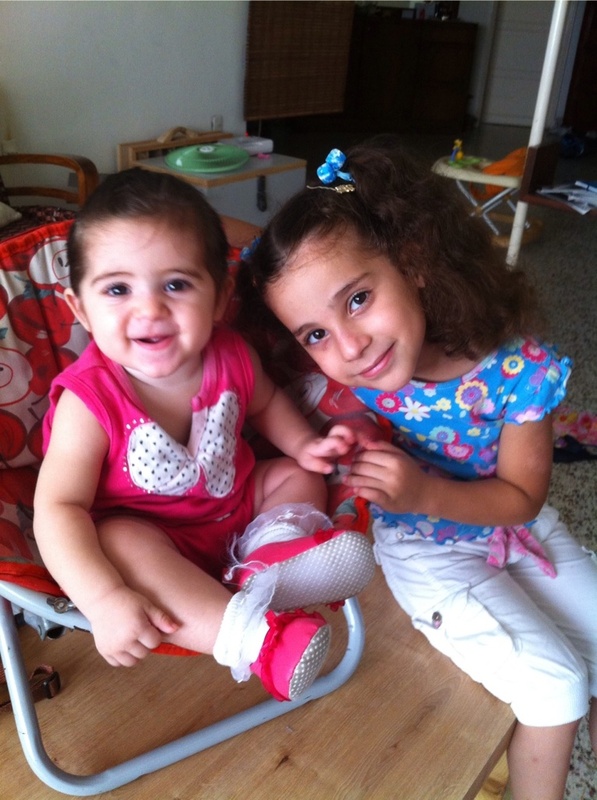 They left at the start of 2014 and reunited in the north of Lebanon. They lived through three years of war in Syria. Ghazwan says he has recurring nightmares about the war and the threat of being conscripted. Even the noise of a simple firework is enough to bring back bad memories. 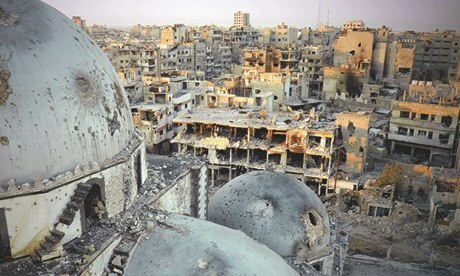 When in Homs, the bombing was so terrifying that gunshots were a welcome respite. But they suffer from more than emotional scars. Ghazwan lost 60% of his hearing in a car bomb explosion. It happened near a gas station as he returned from visiting his brother, who had been shot. Afterwards he made his way to the hospital on foot, as there was no ambulance, where he witnessed a bloodbath. Limbs blown off by the explosion were collected and dumped into plastic bags like garbage. The wounded walked the hallways with rocks and masonry, blown up from nearby pavements, portruding from their chests and other body parts. It was carnage. Initially cursing the partial loss of his hearing, he soon felt lucky to have survived. 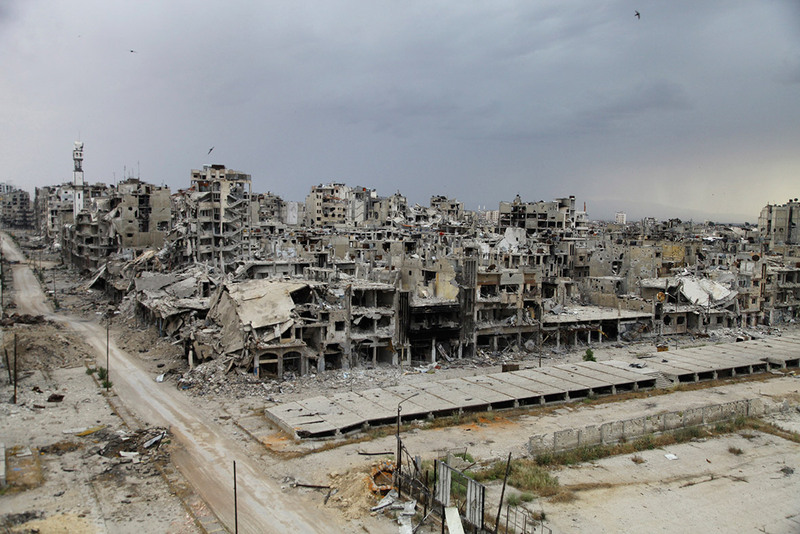 All of which was exacerbated by the fact that Homs’ top doctors had already left. The bomb victims would have to settle for less than the best. Ghazwan is not fully sure what is wrong with his hearing nor how to treat it. Hearing loss was simply not a priority compared to lost limbs. Although they are out of a conflict zone life is still not easy. Ghazwan can only get work as a construction site labourer and Zeina does not work at all. “In Syria I was a pharmacist, here I am nothing” he says. This work would be fine except he is not qualified to do it and he feels he is given the menial tasks that the Lebanese will not do. He feels he is treated worse than his Lebanese colleagues and claims he is paid half that of his Lebanese coworkers. He needs to work at least 20 days per month just to pay the rent. However, he must also provide for his wife and newborn baby, so he must keep going. This has been complicated by the fact that he has damaged a nerve in his hip, which makes it difficult for him to do heavy lifting. In addition to these working conditions, that Ghazwan must endure at work, they are also faced with discrimination by local Lebanese. They find the poor people in their neighbourhood are kind. However, not all in the neighbourhood are so welcoming. Business owners are not and on several occasion they have been thrown out of shops because for being Syrian. They also report hearing countless comments, in the local Souks (markets), along the lines of ‘I wish they’d go back to where they came from’. Both Zeina and Ghazwan want nothing more than to pursue the careers they studied so hard for. They also want to raise their baby girl in an environment they feel safe in. Simple yet important matters that we often take for granted. Zeina and Ghazwan do not know what is coming next. As Ghazwan is working, they do not receive any financial support from the UN. No financial support despite the fact that he earns a very basic living. Also, because he is working, Lebanese authorities will not renew his residency permit. This leaves them in the precarious position of needing a guarantor to stay in Lebanon. This is highly unlikely. Precarious also as it means they could be deported, without warning, back to Syria and back to war. Zeina fears this would mean certain death for her husband and father of their unborn child. They were told by the Lebanese General Security Office that they could not have their residency renewed as Ghazwan was working. They claim they were also told that residency would only be renewed for the over 60s. Zeina shudders at the thought of them returning as Ghazwan would be forced to serve in the army. Zeina says she could not live without him. They claim they would be returning to an area controlled by extremists that would force Zeina to cover her face and wear the Niqab. Similarly Ghazwan would be forced to grow a long beard and to say his 5 prayers per day at strict times. Failing to do so would result in severe punishment. Stark as this is, it is their current reality. They could be deported and forced to return to Syria, as no other country would accept them at such short notice. There are already stories of Syrian refugees being Disappeared from refugee camps in the east of Lebanon, on the Syrian border, and being tricked into returning back across the border to Syria on the basis that they will be allowed back in. Of course they are not allowed back in so either they stay in Syria or attempt another escape with the help of smugglers. Their baby is due at the end of October and they are hopeful that a new home can be found for them by then, but they are not overly expectant. Zeina says she would risk travelling the Mediterranean to find a better life for them and their baby. 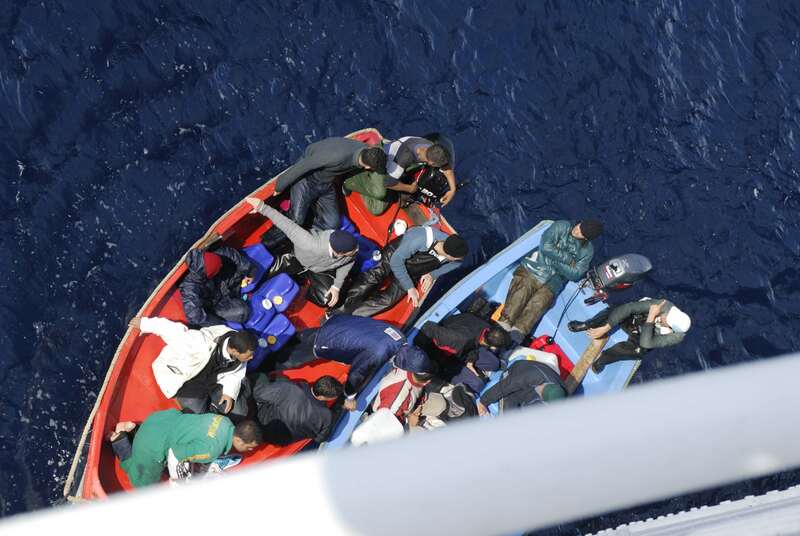 Ghazwan is much more cautious and claims he would give his life rather than take the chance of crossing the Mediterranean and losing his wife and unborn child. They have already been interviewed by the UN for re-settlement. They were interviewed to see if their qualifications and skills were a good fit for a new country. That was over one month ago and they have heard nothing since. The wait for Zeina, Ghazwan and their unborn child continues. I met with Hussein and his family in their home, north of Beirut, where he told me about leaving Syria and getting to Lebanon. They come from a village outside Haleb (Aleppo) in Syria, where Hussein used to work as a lawyer. They left 3 years ago and they have been in Lebanon ever since. Leaving Syria on the first attempt, Hussein was asked to pay $30,000 by smugglers to get him to a safe country. He could not afford such a sum. One of the smugglers, that respected Hussein, told him to forget it and to leave as soon as possible. That smuggler claimed the others were going to kidnap him and simply demand that money in ransom, should he be unable to pay it himself. The smugglers claim the money was ‘for the revolution’ against Assad but Hussein believes they were gangsters extorting money. He also claims they did likewise with other professional and educated people, simply to extort money. He took his friends advice and left for Lebanon. The border between Lebanon and Syria was easy to pass during peace times. Many crossed, back then, without a passport. Such was the relationship and climate. In recent times of course this has changed. 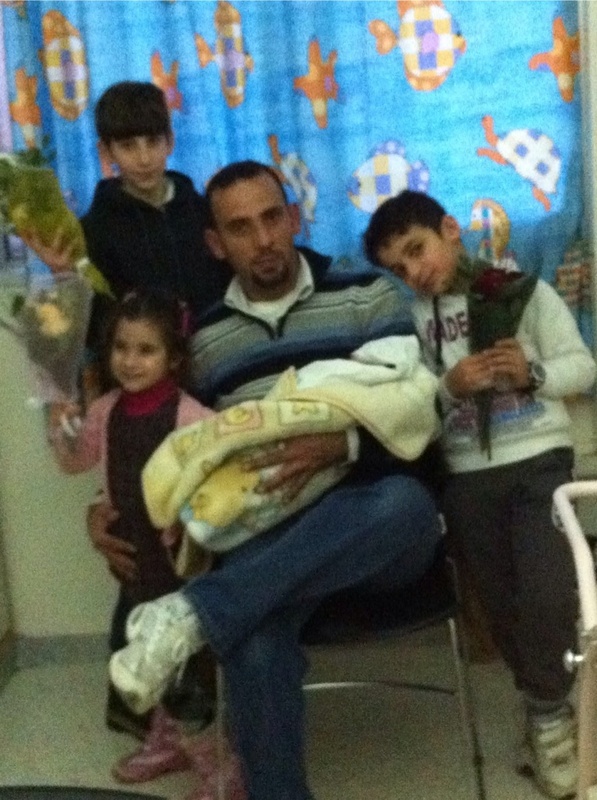 Hussein and his family managed to cross the border and settle in Lebanon. Now, having secured his own and his family’s passage out of Syria, he lives one hour north of Beirut. He left Syria with nothing except essential documents and some small savings. Everything else was left behind, as can be seen from the spartan apartment the family of six live in, and he has no idea what has happened to his family home or their belongings since. They now live on $13 per person per month, from the UNHCR. It used to be $30. That means he must feed and fend for himself, his wife and his four daughters on $78 per month. He makes up the difference by taking odd jobs in construction and living off the kindness of local people. He claims local people have been very good to him and his family, yet the Lebanese Government have not. Lebanon is not like this. Hussein has to pay $500 per month on rent, feed his family and pay $200 per year to renew his visa. He managed to bring some savings from Syria but these are all but depleted and their situation is getting critical. They get no help from the Lebanese Government and in fact he feels they are humiliated by them as they make them wait long hours outdoors when applying for their visas to be renewed. He is now quickly running out of money and he does not know what to do. He feels that staying in Lebanon is hopeless. Ideally he would move back to Syria but this is not realistic as returning there could mean death at the hands of Daesch (ISIS). They have already threatened with decapitation, anyone who tries to leave the area. So returning to his village, without the protection of a professional security firm, would be foolhardy to say the very least. He reports that some families are being asked for as much as $4,000 per person by smugglers to get them across the sea to Turkey. For this money they would cross in an open boat, like so many before, and risk their lives in the process with no garauntees of a new life or new start. He is not prepared to put his family at such risk. Ideally he would move from Lebanon but it is difficult to do so. It is difficult to get on the UNHCR’s short list that they use when moving people abroad. And at the moment, Hussein’s main priority is protecting and looking after his family and hoping for a different solution. Born out of the conflict of World War I and subsequent distribution of the Ottoman Empire, Lebanon has rarely been a stable entity. Since independence in 1943, it has been governed by a tenuous combination of Muslim, Christian and Druze sects. A combination that fought with and against each other during a bitter and protracted 15 year civil war. Ending 25 years ago this year, it was a civil war with heavy international involvement. And there is a feeling that international conflict in Syria could open old wounds in Lebanon. Indeed the Syrian conflict has already spilled over into Lebanon. It is against this backdrop, and two years before the 1958 conflict, that the ‘Father of all deaf people in Lebanon’ arrived. He was a Dutch Anglican priest named Rev. Dr. Andeweg and he set up the Father Andeweg Institute for the Deaf (FAID) in 1957 in Beirut. 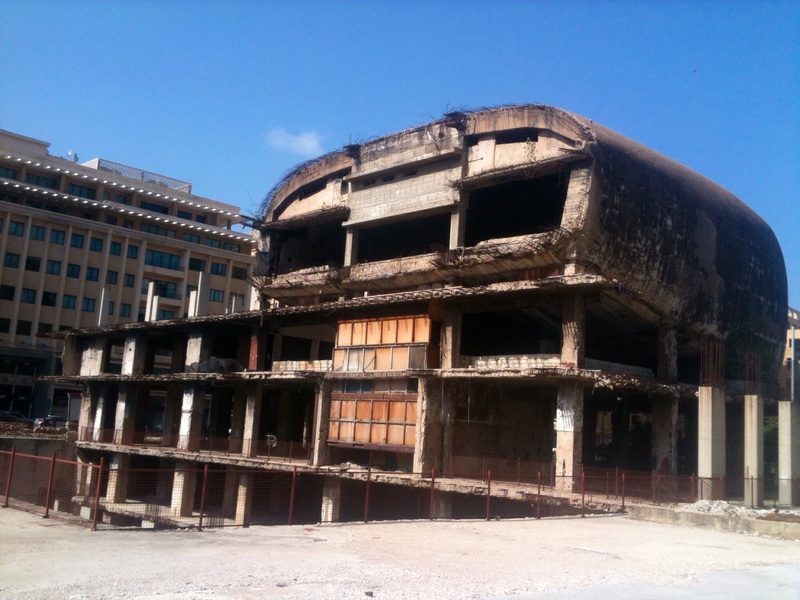 In October of 2014, this reporter travelled to Lebanon to learn about the FAID and its Irish connection. As we drive from Beirut onto the Damascus highway towards the FAID, living examples of Lebanese complexity surround. My driver Jamal, a Sunni Muslim, is married to a Shi’a Muslim in the Hezbollah controlled southern suburbs of Beirut and is a great admirer of Maronite Christian leader, Doury Chamoun. In existence for almost 60 years, FAID is used to such complexity. It is also used to great uncertainty. Uncertainty typified by their inability to elect a President to succeed Michel Suleiman, since May of last year. Uncertainty that leads to a fear that the work done by the Rev. Dr. Andeweg, or Fr. Andy as he is affectionately known, may be undermined. These fears are not new. FAID have been bombed and shot at numerous times. 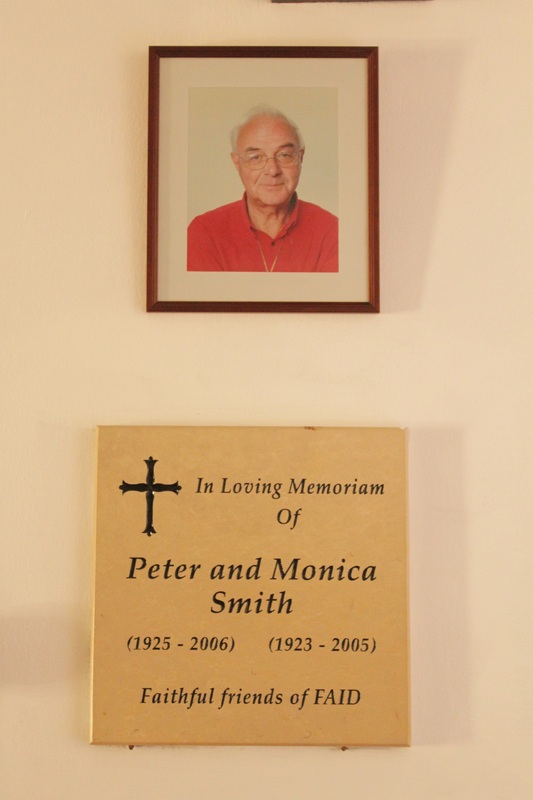 Father Andy responded by transferring the children and the teachers to Switzerland during the seventies, his native Holland during the eighties, and Cyprus during the nineties. At one stage the staff of FAID even went 6 months without pay. Despite this, they kept coming in as they believe “in better future for our students” says Gladys Shawish, secretary of the institute. Corruption is another source of uncertainty in Lebanon. And despite a debt of almost $50Bn, Lebanon has “zero production” and the country “still has no power grid”, according to Economist Albert Kostanian of the Kataeb party. The water supply is also inadequate. Each evening noise and traffic jams can be heard and seen to fill Beirut city centre, as water trucks clammer to bring water to city centre homes and businesses. The city itself is marked with contrast. 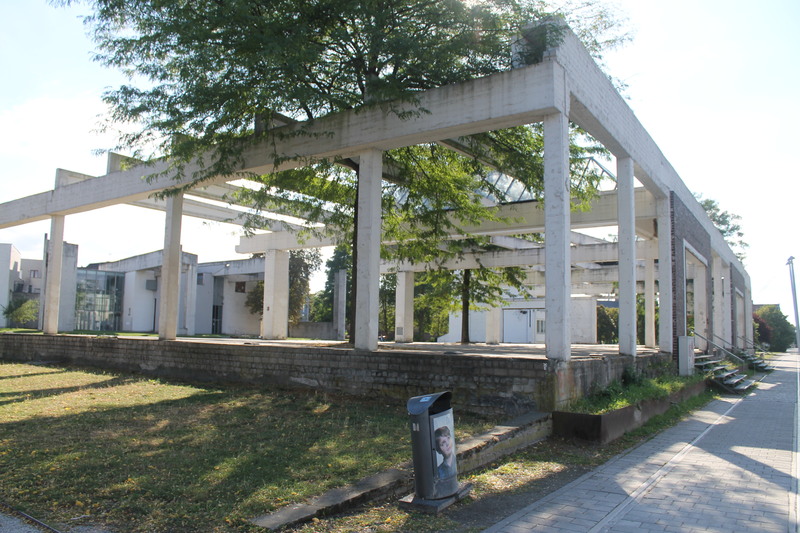 Parts of the city are dotted with bombed out concrete buildings riddled with bullet holes. The southern suburbs of Dahieh, bombed again by the Israelis in 2006 and car bombed by ISIS today, is dilapidated. By contrast, the affluent downtown area and Hariri controlled Zaytouna Bay, have recovered and are overflowing with fine restaurants, top of the range sports cars and five star hotels. Heavily armed Lebanese Army and Hezbollah checkpoints are in place on almost every street corner. Imposing concrete bollards guard every municipal and religious building. Shoppers, tourists and worshippers, in the downtown area, are monitored and checked as they enter. 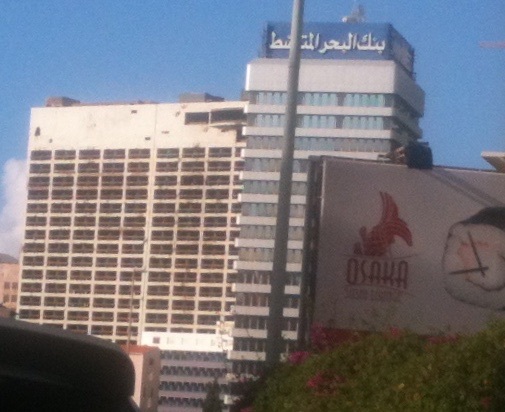 Sabra and Shatila, scene of the 1982 massacre, hang like a stain on the city’s history. A massacre that nobody has been held responsible for. Indeed almost no one has been held responsible for any part of that war. No one that is, apart from Samir Geagea. Released from prison after 11 years in 2005, Geagea is one of the front runners for the office of President, along with fellow Maronite Christian Michel Aoun. It is widely believed that neither of these candidates is electable. Geagea’s war crimes still haunt him and, as Doury Chamoun relayed to this reporter in an interview, Michel Aoun is “a crazy man” who is “selling his soul to the devil” as a prime ally of Hezbollah. The FAID must raise funds in this environment. Fortunately they are not solely reliant on state funding. A number of private donors from Ireland offer support. Friends of FAID Ireland raise much needed funds as does ex Irish soldier Christy Kinsella. Several other Irish people have been involved over the years including a group of Cork CIE busmen. All of which the FAID could not survive without. They must raise funds to educate the FAID’s 65 deaf children to fulfil the requirements of the Lebanese Department of Education. They can also sit French secondary school exams. These children, aged three to eighteen, are representative of the major faiths in Lebanon. Ms. Lina Atallah, the Academic Supervisor, outlines how they teach the standard Lebanese curriculum and add their own special touch to make things clearer for deaf students. 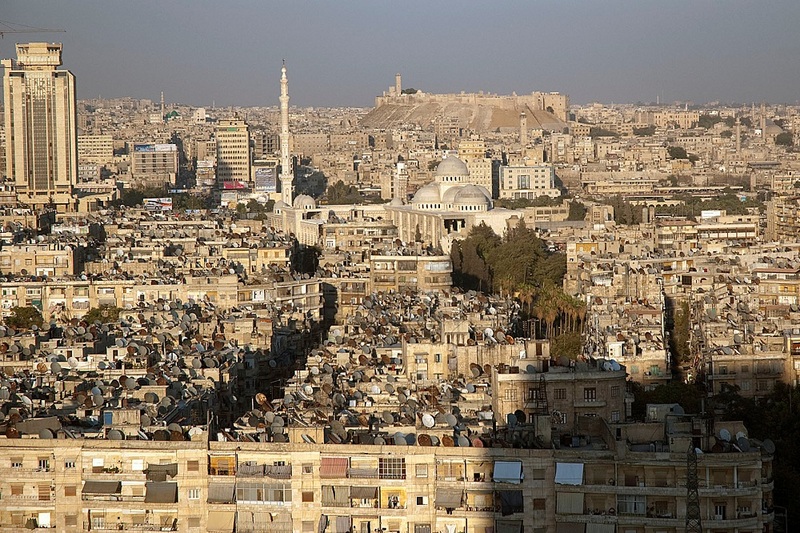 While the Syrian crisis does not affect their academic work, it does affect their budget. 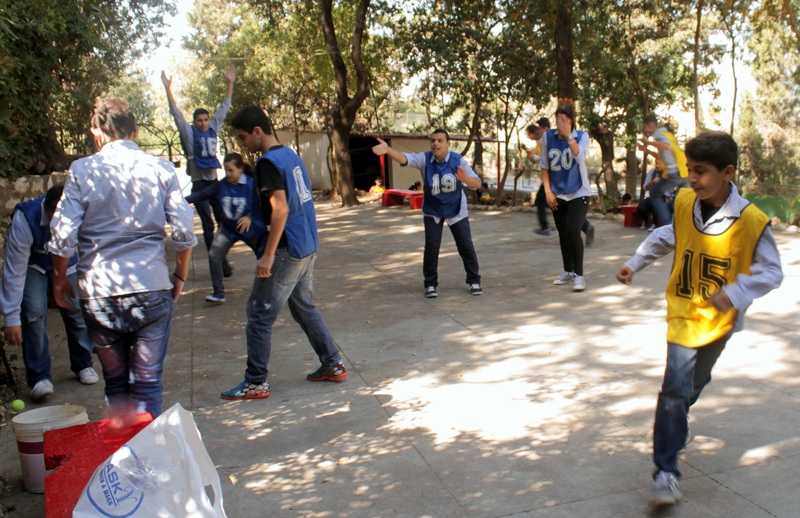 FAID have taken in 13 hearing impaired Syrian refugees. However, the Lebanese Government claims it is unable to cover their cost and no NGO will offer financial assistance either. On a human level, deaf children fleeing Syria may be aware of what is going on but they will not be able to express themselves. So says school Psychologist Ingrid Al Azi. Ms. Al Azi goes on to explain that, despite their circumstances “kids are more resilient than you think”. Voluntary Chairperson, Mr. Toufic Takchi is not so upbeat. He explains “we have a lot of problems here and this uncertainty for the future is being reflected here in the school”. Mr. Takchi is referring to Syria and its knock on effect in Lebanon. Effects which include the influx of one million refugees, clashes with Takfiri militants in the Bekaa valley, sectarian clashes in Tripoli and sporadic car bombs in Beirut. These car bombs have occurred mainly in the Hezbollah controlled neighbourhood of Dahieh. It is believed these attacks were carried out by ISIS, or Da’ish as they are known locally, in retaliation for Hezbollah involvement in Syria. Some Christians and Muslims in Beirut city believe that, Hezbollah and Iranian influence represent the greatest threat to peace in Lebanon. Regardless of how many point the finger at Hezbollah and Iran, outside influence is strong in Lebanon. Political parties are divided on the basis of the pro-Syrian 8 March or the anti-Syrian 14 March alliance. So responsibility cannot rest with Hezbollah alone. In such an environment, it seems hopeless for a small outfit like the FAID. Mr. Takchi believes donors to the FAID will think twice before putting their hands in their pockets. However, they “have to keep going” says Mr. Takchi. He believes that “twinning with a European school specialised like us in this field” could help them. They could “exchange experience, exchange children sometimes like other schools or universities”. This was done during Fr. Andy’s time but, since his death in 1999, these connections have been lost. FAID have committed staff, volunteers and loyal donors in Ireland. Most importantly they have an upbeat student population. This will go a long way to honouring Fr. Andy’s legacy, as will the schools he established in Beirut, Jordan, Egypt, Gaza, Pakistan, Sierra Leone, Vietnam. A long way at least, until the next round of uncertainty arrives. Debate within the loyalist community would indeed be welcome, as precious little is seen from the outside. In the article, the writer makes reference to the cliché of ‘Freedom Fighter’ V ‘Terrorist’ and chooses the later. Surprisingly, for someone from the ‘Northern Ireland Unionist’ community, they do so in reference to Israel. He makes the points that the “…Israeli terrorist groups of the 1940s…modelled themselves on the IRA.” And that Yitzhak Shamir took the code-name ‘Michael’ as a tribute to Michael Collins. They then make one of many errors in the piece and claim there was admiration between “…Irish republicanism and Zionism…”. This is not true. Whatever admiration existed, did so as a result of Jewish suffering – NOT Zionism. The insignificant links between Irish Republicans and Germans during WW2, that the writer notes, existed purely on the basis of ‘my enemy’s enemy’. Nothing else. In fact it is Britain, and not just their royal family, who must take responsibility for the thousands of Jews they sent back to Hitler’s gas chambers. Some of whom were rounded up on the Channel Islands. While the writer attempts to make these tentative links between Irish Republicanism and German Fascism, he neglects the stance Irish Republicans took against fascist Franco. Many of whom did so, paid for it with their lives and opposition from the Catholic Church. He is right in stating Menachim Begin was an admirer of the Irish revolution against British imperialism. He admired our stance of ignoring their courts. A very powerful stance to take and aligned with Irish republican principles. What the writer neglects to mention here is that, Begin was influenced by how badly the Irish movement was infiltrated with informants. As a result, Begin kept his cells as small as possible and everything was on a need to know basis. So let’s look at that old chestnut of a word ‘Terrorist’ whose definition depends on who holds the power. 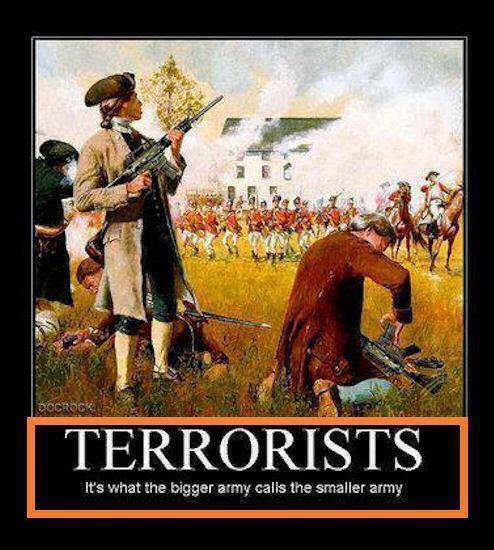 As they say – ‘it’s what the big army calls the little army’. Those with the power label their enemy as ‘Terrorist’, slaves to mainstream media believe it and oppose the every action of the ‘Terrorist’ no matter what their reasoning may be. Terrorist is only ever used in the pejorative sense. Despite this meaning, Begin took pride in being called a ‘terrorist’ by British imperialists. He believed – if you call me this, I must be terrorising you, which means you must be afraid of me, so my work here is done. The bond between Irish Republicanism and the Jewish fight for freedom is something we should be proud of. Proud that we stood in solidarity with the Jewish people in their hour of need. Likewise, we should be equally proud of abandoning it when it was distorted into Zionism and abuse of Palestinians. Thereby turning freedom into oppression. The support Irish Republicans give to Palestine is proof positive that we are interested in the movement, not the man. We support freedom and independence and oppose oppression, no matter who leads it, no matter how much we may have supported or opposed them in the past. This will always be the way. 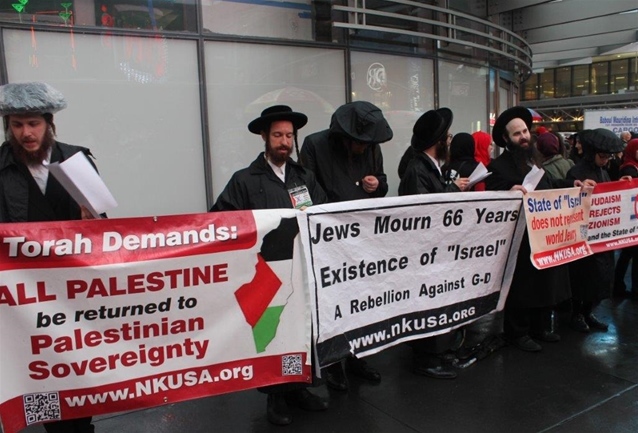 Neturei Karta (NK) are orthodox Jews opposed to the establishment and existence of the so-called “State of Israel”. Founded in Jerusalem in 1938 after a split from Agudas Yisroel, Neturei-Karta is Aramaic for “Guardians of the City”. Agudas Yisroel were “…lured by money and…sold out to the Golden-Calf of Zionism…” according to NK. The name, Neturei Karta, was given to the Orthodox Jews in Jerusalem who refused, and still refuse, to recognize the existence or authority of the so-called “State of Israel” and continue to publicly demonstrate their position of “unadulterated Judaism”. So it is not true to say that all Jews, even all orthodox Jews, support the state of Israel. Furthermore, according to NK spokesperson, Rabbi Weiss, NK maintain the so called state of Israel is not in keeping with Judaism and Judaism runs contrary to the idea of Zionism that created the so-called state of Israel. Judaism is a religion that dates back millennia while Zionism is a mere 100 years or so old, considered to have been fathered by Theodor Herzl in 1897. He feels that Zionism has “corrupted the idea of Judaism” to justify the establishment of Israel. He goes further and claims “…Theodore Hertzel and Ben Gurion, all these guys were non religious…”. These are the so-called fathers of Zionism. These men hijacked Jewish identity for the purposes of establishing the state and were not even clear about where that state should be having considered establishing the state of Israel in Patagonia and Uganda, according to the Rabbi. They simply hijacked Jewish identity to make the foundation of a state, any state, an acceptable idea. From a theological perspective, Rabbi Weiss believes the Jewish people are forbidden from creating a home and cannot create a home until God instructs them to do so, which has yet to happen. Furthermore, the crime of founding a Jewish state in Palestine is compounded by the fact that it was a land already inhabited and inhabited by their friends. Zionism claims that the foundation of the state of Israel is God’s will. Despite this religious stance, most religious Jewish communities around the world do not fly Israeli flags as they do not accept Zionism. Indeed Chief Rabbi Yosef tzvi Dushinsky, in Jerusalem, in a declaration to the United Nations in 1947 expressed his opposition to the establishment of a Jewish state “…in any part of Palestine…”. This was the response of Near FM to a presenter who interviewed me about “this topic” – Palestine and Israel – in January this year. A bizarre response to a balanced interview. And a response reserved solely for those who dare speak about “this topic”. When the Israeli Embassy complained about my 26 March 2013 show ‘International Politics’, which featured ‘Operation Cast Lead’ (an armed attack on the Gaza Strip by Israel) Near FM were supportive. They even brought me on an all expenses paid trip to the south of France. In upholding the Israeli complaint Near FM were ordered by the BAI (the Broadcasting Authority of Ireland – broadcasting regulator) to read out an apology before my next show on 6 November 2013. I requested a copy of this apology from Near FM, some days before 6 November, yet Near FM did not provide me with one. Despite being a community volunteer journalist with no experience of dealing with such matters, Near FM did not provide the necessary training. The support had ended. Ten minutes before going on air, on 6 November, I finally heard their apology in a studio full of people, most of whom I had never met before. A political comedy character called Azizi Bin Habeebi was a guest on that show. In a comedic style, he expressed outrage at Near FM’s apology. He called the apology “garbage” that “stank the whole office”. I claimed that in endorsing the views of experts, on 26 March, I wasn’t “…going too far wrong…”. The remainder of our discussion was directed at the injustice that exists in Palestine at the hands of the Israelis. As a responsible journalist that is my job. It is my job to give a voice to the unheard. It is also therefore my job, to be imbalanced against any oppressor. To begin with Near FM did not seem perturbed by this broadcast. However, 25 days later they decided to publicly disown me. They had informed the Sunday Times of my suspension before me. Their decision to suspend me was also taken in the middle of an internal process where, matters pertaining to the 6 November broadcast, were being resolved. They ignored this process and have never explained why. Time after time I asked for a full explanation for my suspension. Time after time I met with a wall of silence. They had no idea what was going on as they initially declared that part of the reason for my suspension was the show on 26 March. As it proved impossible to get answers to simple questions I raised a formal grievance. In fact I raised three. None of my grievances were heard. In late January 2014 they finally lifted the suspension of me as a volunteer yet did not lift the suspension of my show. No clear explanation was given for lifting my suspension as a volunteer. I can only speculate as to whether it was in some way connected to the BAI funded radio documentary I was working on. ‘International Politics’ was subsequently terminated in February 2014 as I refused to accept their censorship of the Palestinian issue. A show that interviewed notable experts in Irish and international politics. My appeal was rejected in March 2014. The termination of ‘International Politics’ was never fully explained nor were the questions I raised during the appeal answered in any way. 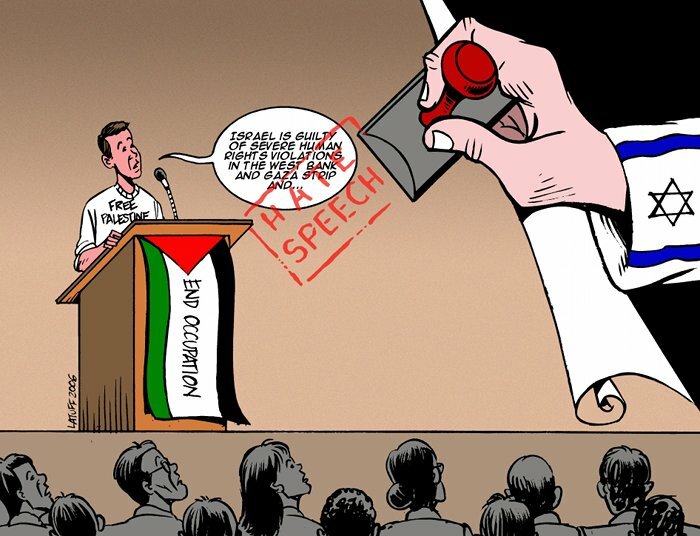 Likewise the banning of my interview with a Palestinian Human Rights activist was not explained. Sometimes I wonder if I had just complied, as once advised, to “…do a pro-Israeli piece…” and simply cover “…Palestinian art…” would I still be on air? Management at Near FM have ruled criticism of Israel and discussion of the Palestinian issue as out of bounds. They are prepared to discipline any community volunteer that dare discuss “this topic”. It is tragic that a radio station which has done so much for its local community would fail to do what community media is meant to do – give a voice to the unheard. Near FM have decided they want programming that will not ruffle any feathers or upset anybody on ‘this topic’. Nobody can claim ignorance on Palestine. Countless documentaries, articles and books on “this topic” are easily accessible. The Irish Palestine Solidarity Campaign, Gaza Action Ireland, Sadaka and others campaign tirelessly to publicise it. Yet society just looks on. Let’s hope Near FM do not stay with the on-lookers and reverse their policy of censorship and disciplinary action for those who dare touch “this topic”. 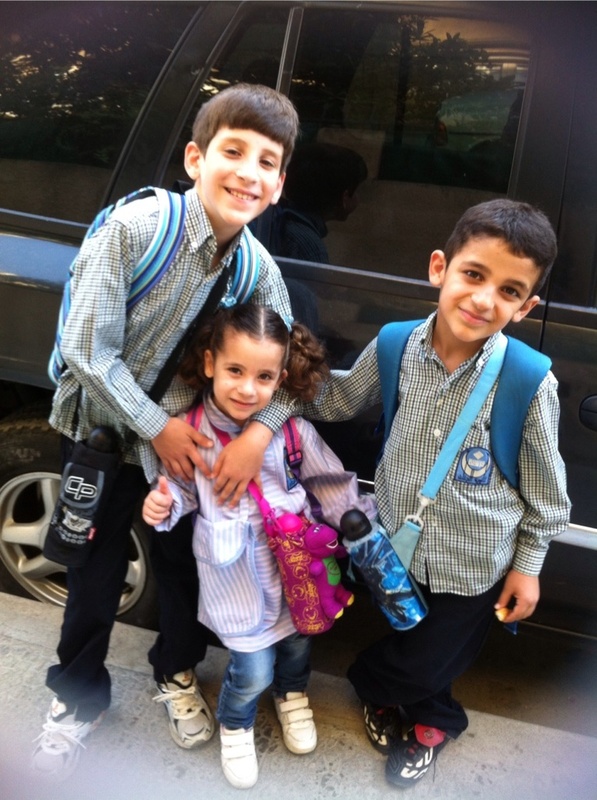 Ms. Ziadah’s is highly thought of in the birthplace of her grandparents – Palestine. 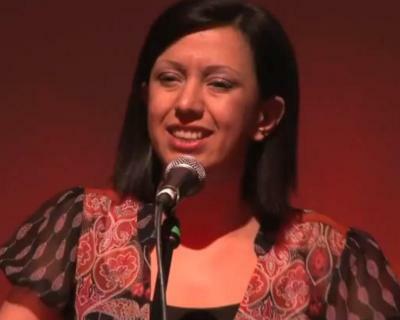 By popular vote, she was chosen to represent Palestine at ‘Poetry Parnassus Festival’ at the South Bank Centre in London. The Arts Council in Ontario also recognised her talents in awarding her a grant to create her debut performance poetry album ‘Hadeel’. Ziadah was in Ireland last week for the cultural concert tour “Commemorating Al Nakba – Celebrating Palestine”. We met in a Dublin city centre apartment to discuss the tour and the message it is bringing to an Irish audience. While waiting patiently outside the apartment for her to arrive, I recognise her approaching among an oncoming group of five. I had seen her image several times on social media so, happily I cry out, “Hi Rafeef?” With a gentle smile she replies “yes, I am Rafeef”. On first impressions, not the passionate personality who performed ‘we teach life sir’ in London last November. A performance that received over 215,000 hits on YouTube. 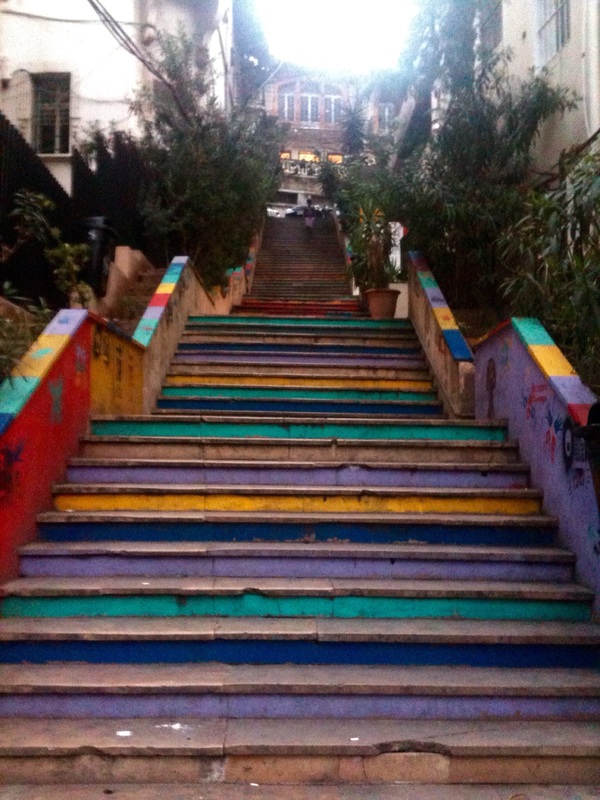 However, on the stairway up to the apartment, as we discuss Palestine and her poetry, the passion re-emerges. She passionately explains the message behind the concerts that recently visited Cork, Dublin, Belfast and Derry on the Irish leg of a tour that also included the UK. She explains “the tour commemorates what Palestinians call ‘Nakba’ week – Arabic for catastrophe, which marks the 64th anniversary of the foundation of the State of Israel, when over 700,000 Palestinians were expelled”. Among those expelled were her grandparents. They never returned. The right for refugees to return and the struggle of the Palestinian people are the key messages of the tour. They are the driving forces behind Ziadah’s poetry. She excitedly explains what it means to her and other Palestinians. She explains what it means to be performing in Ireland. “Ireland has a special place in the hearts of Palestinians”. She jokes “we believe Ireland was mistakenly located and should be down her with us”. On a more serious note “the tour was planned at the time of mass hunger strikes in Palestinian prisons”, she pauses, “what country understands hunger strikes like Ireland”? On the tour with Ms. Ziadah was singer, Terez Sliman, a Palestinian citizen of Israel, Phil Mansour, a Lebanese-Australian singer-songwriter and musician, Yazin, form the occupied Golan Heights. It was “a very unique collaboration” says Ziadah. For the first time ever she worked with Phil Monsour, who performed his CD ‘Ghosts of Deir Yassin’. The CD says “we are no longer living in the fear, we are going to return” says Ziadah. Mansour presented his set and Ziadah played guitar with him as part of her performance poetry. The rest was a mix of Arabic songs, written by Sliman, and English poetry, written by Ziadah and integrated with Yazin’s music. Ziadah was pleased with the response from the Irish audience. She feels it was so positive due to “the musicality of Arabic words mixed with English poetry so the audience can understand where we are coming from”. She explains “it is very hard to explain, it’s something you need to see to grasp the fullness of it”. However, she adds, “it is very unique and very theatrical but also very political at the same time”. Palestinian art cannot be purely art “as nothing in our life is not political” she says. Ziadah feels a strong need to assert herself through art. She explains that art is about “asserting culture and identity and culture that is being destroyed”. So how did she get started on this road? Ziadah says “she always wrote poetry” although she didn’t perform until her University years in Toronto. Despite growing up in Lebanon in the early 80s in the middle of the war, it was Toronto Canada where she first experienced real hatred. It happened when Ziadah, and her fellow students, were working on a creative art scene, using a mock Israeli checkpoint. Ziadah and her fellow students played the parts of Israeli soldiers and Palestinian citizens. In the middle of a scene, whilst lying on the ground, she was attacked by a young Jewish student. He kicked her in the stomach and yelled “you deserve to be raped before you have your terrorist children”. One week later she performed her poem “Shades of anger”. 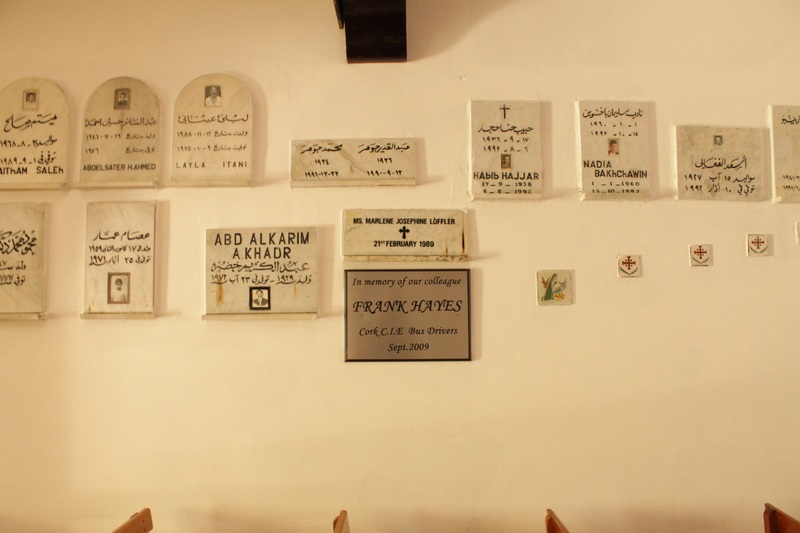 Ziadah’s was also influenced by Palestinian poets such as Mahmoud Darwish, Fadwa Tokan and Ghassan Kanafani. A childhood growing up during the Lebanon war meant she experienced a great deal of trauma so, “getting it out on paper was very important”. Ken Loach’s praise may raise her profile but the bread and roses issues of Palestine will ensure her work is always heard. What does she hope the legacy of this tour will be? “To get the Palestinian story, on a day to day basis, out there and publicise the normalisation of violence against Palestinians”. Ziadah is equally passionate about the cultural boycott of Israel and is indeed a signatory to the campaign. She hopes it will counter the “de facto boycott” that exists against Palestinian artists and serve as a “wakeup call to Israel”. “The boycott is working, Israel is taking notice and we have received support from South African artists who understand apartheid”. And recent political criticism of the cultural boycott? She cools her passion and plainly replies “it shows where their priorities are”. Harassment from the most battled-trained army in the world, explosion of equipment, unlawful competition, limited access to frequency and excessive government restrictions. Palestinian-American businessman, Sam Bahour, encountered all of this in establishing Paltel, Palestine’s first mobile phone company. 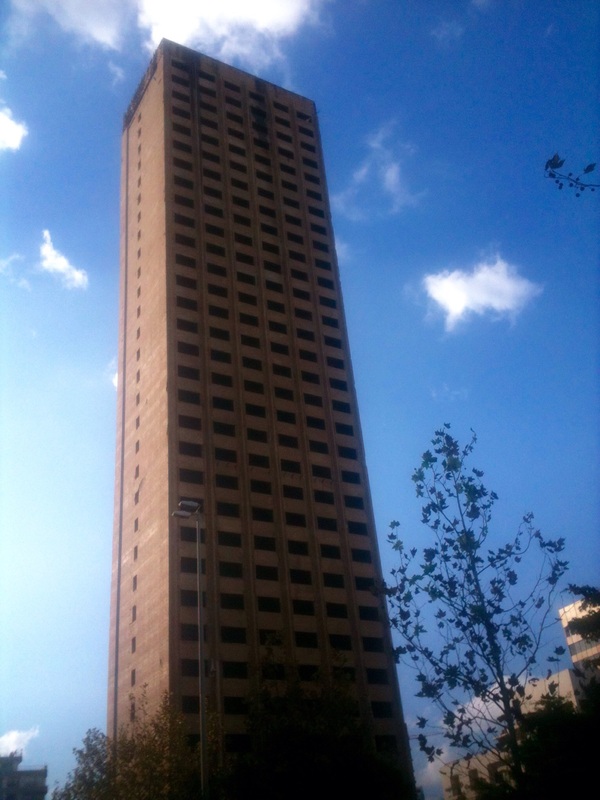 Since Paltel’s eventual launch in 1999, its subscription rate increased from 570,000 subscribers in 2005 to two million in 2010. Telco in Palestine outperforms other conflict countries. Penetration per capita stands at about 33%. This puts it ahead of Egypt, Syria and Yemen. Paltel is Palestine’s largest private sector employer, employing 3,000 people, with 7,668 shareholders, making up 29% of Palestinian GNP and accounting for 50% of worth of the Palestinian Security Exchange. Paltel is a success story. Despite this success, Bahour claims that even today Paltel faces unauthorised competition from Israeli providers serving Israeli settlements overlooking Palestinian areas. He claims this is illegal as, in his words, “there are no ifs ands or buts about it, neither side is allowed provide a service to the other side unless they are licensed to do so” and the Israelis are not licensed to do so according to Bahour. The Palestinian National Authority (PNA) have the right to collect taxes on these calls, yet cannot do so as Bahour claims the Israelis refuse to transfer them. This amounts to an estimated loss of $60m annually. It is also estimated that if Paltel had the opportunity to provide 3G coverage since 2005, it would have avoided lost revenue of almost $67m. So how then, did he get Paltel off the ground? Bearing a striking resemblance to former Minister Frank Aiken, Bahour explains that to set up a mobile phone company he needed to tick six boxes – mobile licence, mobile frequency, transmission equipment, start-up capital, human resources and customers. As the PNA grant the licence and Palestinians were eager customers, two boxes were immediately ticked. Palestinian Banks hold over $7Bn in reserves and the Diaspora is keen to invest, which ticks the start up capital and transmission equipment boxes. However, this equipment still needs to be accessed, when it arrives at customs, and installed safely. That box, and the access to human resources and mobile frequency box, is not so easy to tick. This is where Paltel faced their greatest challenges. As an IT graduate from Youngstown State University and as a Director at the Arab Islamic Bank, Bahour was one of their key human resources. However, other properly skilled Palestinians living abroad were refused entry visas which necessitated the hiring of expensive foreign labour and consultants. Accessing mobile frequency was problematic due to the bizarre reality of Palestinian Telecommunications. Local telecommunication regulations give the PNA the right to issue licences but Israel the right to issue frequency. Frequency must be released “…based on need…” which Bahour claims the Israelis ignored. Paltel did not get the necessary frequency until mid 1999 despite being ready to go live since January 1997. The transmission equipment ordered by Paltel was held in storage by Israeli customs, without explanation, for two years. Israeli equipment was released in 2-3 weeks. In August 2010 the World Bank found that from 2002 – 2009 Paltel lost an estimated $382.7m due to Israeli confiscation of equipment and restrictions to operate. The equipment that eventually got through was subject to arbitrary attacks from the Israeli Defence Force with “no explanation, apology or compensation given” claims Bahour. Delays meant that Paltel were forced to host mobile switches in London and route communication through that switching equipment to one of the Israeli operators. To avoid further delays Paltel then bought from Israeli providers. So how did Bahour do it? How did he cope with the delays, explosions and lost revenue? What was the key? Quite simply he says “Palestinian business people are resilient”. He believes they are successful as they are “very tested crisis managers” and have learned to “use technology effectively to communicate with areas they cannot physically access”. He believes the Palestinian Diaspora are also a major advantage as, like the Irish, “…are scattered to every corner of the globe…” keen to invest and “willing to take a lot of risk”. As a businessman Bahour pursued a “better reality for Palestinians” through business and believes the “best form of resistance against Israeli occupation is setting up businesses”. Not talk of revolution, talk of business and business can be revolutionary. Just as we in Ireland know, Bahour too knows that people are less likely to leave their homeland when they have work. “Businesses mean jobs and jobs mean Palestinians stay”. The Paltel story is an example of resilience in the face of adversity. Resilience not dissimilar to that in Irish business people. Dr. Fatima Hamroush, has worked as an Ophthalmologist at the Lourdes Hospital Drogheda and Mater Hospital Dublin for the past 11 years. She arrived in Ireland with her 4 children in January 1996 to begin work at The Mater. Fatima lived under the dictatorship of Gaddafi, whose regime eventually forced her family to leave. The abuses were evident when her father, Abdullah Hamroush, was a judge in the military court in 1967. Prior to Gaddafi’s coup, an army official complained about a lieutenant who ordered ‘…other soldiers to walk over him when he fainted during a training session…’ That lieutenant was Muammar Gaddafi and he was sentenced to 3 days in solitary confinement by Fatima’s father. After the Gaddafi coup and as an act of revenge, Abdullah would spend 3 years and 3 days in prison, a year and a day for the days Gaddafi spent inside. And this was not an end to the uncertainty or suffering they would experience at the hands of Gaddafi. Fatima recalls Gaddafi’s public executions. In one such execution, a man by the name of Alsadek Alshwehdi, was accused of plotting against the regime. Previously Alsadek had studied engineering in the USA and participated in demonstrations against Gaddafi. A year after Alsadek’s return to Libya, in 1984, Gaddafi’s residence in Bab Alaziziya was attacked by members of the National Front for the Salvation of Libya (NFSL). Some of the participants in the attack were old friends of Alsadek and his name came up during their interrogation by Police. He was arrested and accused of conspiring against Gaddafi, without any evidence. His trial, broadcasted live on state television from the basket ball stadium in Benghazi, lasted just over half an hour. The prosecutor, judge and executioner were all members of Gaddafi’s revolutionary committees. The head of the Jury that day was a woman by the name of Huda Ben Amer. The accused was blind folded, with the gallows behind him. Ordinary locals were invited and forced to watch the court hearing. Alsadek was shaking from head to toe, begging for mercy and denying his involvement in any conspiracy or crime. Huda insisted that he admit his guilt in order to reduce his sentence. The viewing public, out of fear and an attempt to gain some sort of reprieve for Alsadek, encouraged him to admit. After much cajoling, and in an attempt to save his own life, this is exactly what he would do. Huda then turned the table on Alsadek and exclaimed that this was what she had known all along and he was merely overcome with guilt to admit his wrong-doing. He was sentenced to death by hanging. The noose, which unknown to Alsadek, had been suspended behind his back all the way through the ‘trial’, was then fixed around his neck as the chair he had sat on was kicked from underneath him. Imminent as Alsadek’s death should have been, he survived. Undeterred, Huda Ben Amer decided that Alsadek was an enemy of the state and could not walk free. She proceeded to grab the Alsadek’s legs and pull him downwards, with the noose still fixed around his neck – yet somehow he survived. Fearing loss of face in front of the crowd, the prosecutor ordered that Alsadek be sentenced to death by lethal injection. A doctor on duty was ordered to fit Alsadek with an IV line and to inject him with air. The doctor refused. One of the revolutionary committee, did it herself and Alsadek died of an air embolism in his heart. Brutal as this ‘trial’ was, Fatima was most struck by how little people reacted. They returned to work and went about their business. Such was the fear of Gaddafi amongst ordinary Libyans, that they feared they too would suffer a similar fate to Alsadek’s. Huda rose through the ranks of the Gaddafi regime. She was appointed Head of The Arab Parliament in 2008 and State Ombudsman in January 2010. Prior to these appointments she was The Minister for Women and Children for many years. She remained a close personal friend of Gaddafi’s and was well trusted by him. During the recent revolt in Libya, revolutionaries in Benghazi burnt her house to the ground. She now resides in Tripoli. Fatima herself was approached by Huda to join the regime as she had, according to Huda Ben Amer, ‘…leadership qualities…’ Fatima refused. On one such occasion, at a summer camp in 1979, she was forced to watch the systematic beating and whipping of teenage girls, for the alleged theft of cutlery. 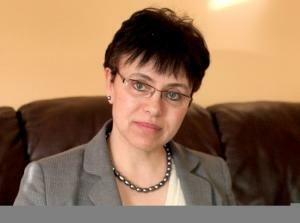 Fatima still fears reprisals from this woman, because of her anti Gaddafi stance. Fatima had hoped that things would have changed by the completion of her Post-Graduate studies. However, she was to be disillusioned as things would get worse. In 1996, when 1,200 prisoners were massacred at Abusleem prison, Fatima would finally leave Libya. She could no longer tolerate the regime or live in fear of it. As the attempts to remove Gaddafi from power failed, he became even more suppressive of his own people and all forms of opposition against him. This brutality included mass executions, public hangings, torture as well as a host of other barbaric methods, which have been well reported over the years, yet seem to have neglected the human side of such barbarity. Fatima also tells horrific stories of how he psychologically tortured those closest to him to gain their loyalty. He turned his soldiers into ‘…killing machines…’ Stories tell of how these soldiers, as a test of their loyalty to Gaddafi, were forced to walk on their knees with their hands tied behind their backs and eat dog meat that hung suspended above them in a darkened room. When they became physically unwell from so doing, they were forced fed again to stop the vomit. This act of barbarism culminated in a lewd act with a deceased dog’s severed head. This is how Gaddafi would treat those most loyal to him. There would seem to be no end to the brutality and mal treatment of his people. Fatima tells an even more disturbing tale of the 450 school children injected with the HIV virus by a Palestinian and Bulgarian medical team. The alleged collusion with European nations, including those connected with EU heads of state. The brutality and abuse of his countrymen, women and children is tragically endless. Fatima, and her son Abdullah, have set up a charity to assist the needs of Libyan hospitals, following the brutal attacks on civilians in Libya. The charity aims to do what it can to expose ‘…Gaddafi’s regime to the people of the world…’, ‘…to voice the concerns of ordinary Libyans and to make them aware of their rights…’ Her campaign is conducted mainly over the internet, through social media and the charity organised by Fatima’s son Abdullah. More information on this campaign can be found at www.libyanemergencyaid.com where donations can also be made. Fatima posted under a pseudonym for a long period of time such was the fear of reprisals from the Gaddafi regime. Sara & Farah take to the streets with their Libyan colleagues in Ireland and tell of their experiences in Tripoli and Benghazi. 2004 was the last time Fatima visited her homeland. She has not felt it safe to return since then. She and her opposition colleagues are hopeful that the current revolution against this brutal dictator will bring an end to his reign of terror and signal the dawn of “a democratic country without fear.. a peaceful country with a respected government, whose people are kind, loving and respect international agreements and charters of human rights… a country that will be the centre of world cooperation and a bridge of peace between the developed world and the third world, due to its strategic location and wealth”.